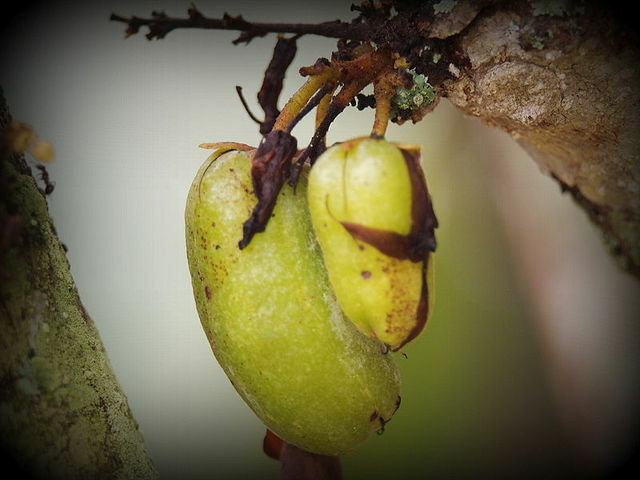 The fruit and tree of Averrhoa bilimbi. 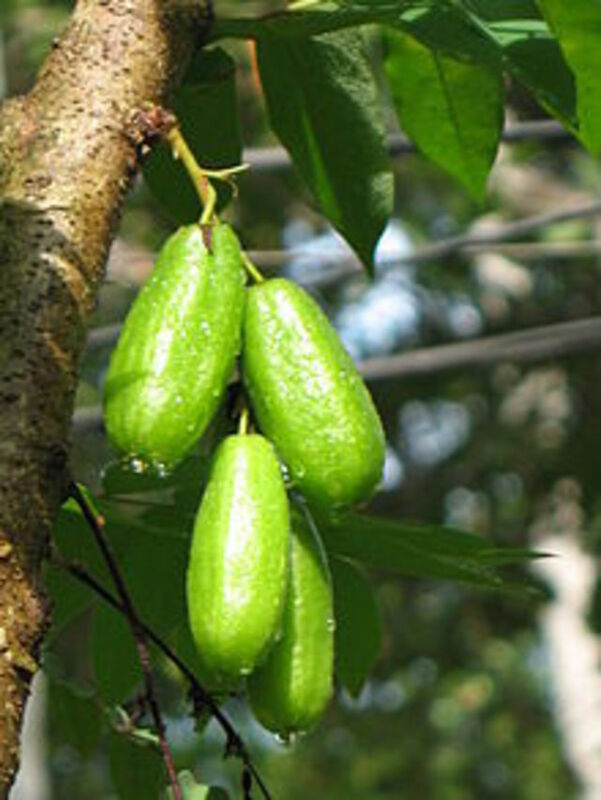 A relative of the carambola or star fruit, the tree produces an green, edible, five pomed, cucumber like fruit. When I was small we had a tree in our back yard. It is also called cornichon and is a tasty addition to pepper sauce. Its natural acidity and tanginess are well suited to this. Looks like a fruit we refer to as "bling bling or sowaree" in Guyana. Makes an excellent "sowah", kinda like achar but sweeter and goes well with Polorie, aloo ball etc. I think this fruit is also native to India and is mentioned in Ayurveda resources, also excellent for Diabetes. Many years since I have seen this. Remember it as Caramanga or one finger souree. It is good in making pickles. I can use some souree right now.